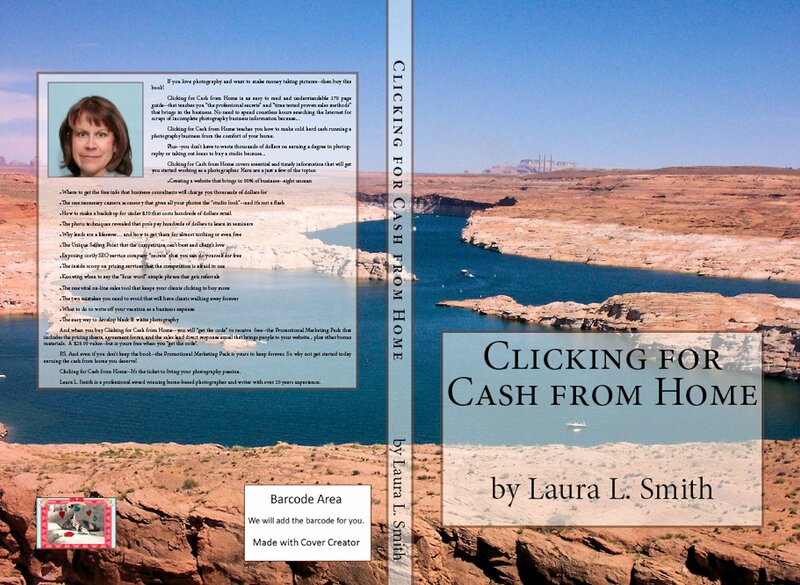 Clicking for Cash from Home guide! My goal is help all the aspiring photographers live their dream of making money running a photography business. May your life be blessed with abundance. Thank you all. If you love photography and want “the insider’s key” to making money taking photos—then click here now! Clicking for Cash from Home is a 170 page step-by-step guide on mastering the art of running a photography business from the comfort of your home. This complete guide provides “the professional secrets” and “time tested proven sales methods” that brings in the business. You won’t be wasting countless hours searching the Internet for scraps of incomplete photography business information. What to do to write-off your vacation as a business expense—while having fun doing it! And when you buy Clicking for Cash from Home—you will “get the code” to receive free—the Promotional Marketing Kit that includes the pricing sheets, agreement forms, and the sales lead direct response email that brings people to your website…Plus other bonus materials. And even if you don’t keep the book—the Promotional Marketing Kit is yours to keep forever. So why watch others make money you could be making? Make it the next thing you do and click here to start making the money you deserve! Clicking for Cash from Home—It’s the ticket to living your photography passion.